I was recently contacted about performing SEO on a shopping website, written in ASP. The owner of the site had been told that as the site was written in ASP, with a SQL Server database, that it was not possible to optimise it. This statement is nonsense, but sadly it is quite a common one from Search Engine Optimisation Companies, who usually prefer to work with off-the-sheld open-source shopping solutions, to save them hard work when optimising sites. After a quick look at the code for the website, I quickly established that not only was SEO viable for the site, but that a number of improvements could be made to benefit search traffic for the site. 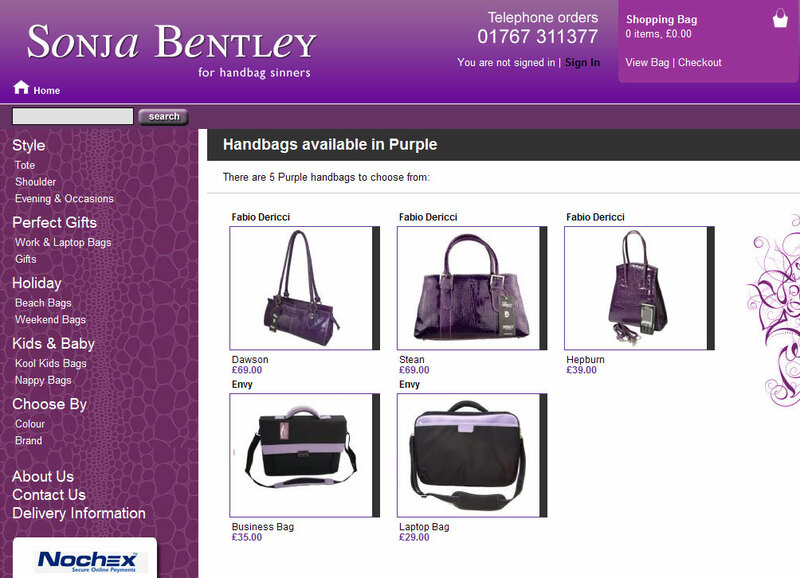 The site in question, Sonja Bentley Handbags, has now had an SEO overhaul. Pages now have relevant Title tags, Meta Tags (description and keywords), H1 and H2 headings. This also extends to section and product pages, which involved changing some of the ASP code that other Search Engine Optimisers would not attempt. Soon the website should be returning an increased volume of relevant search traffic, all achieved through changes made to the ASP-Driven shopping website. Why not visit the site today?